AOPA is getting a new logo for 2018, and we need your help! 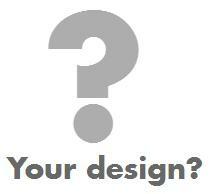 We are reaching out to the O&P Profession and designers around the world to enter a contest to design the new logo. One winner will receive $500, and the contest ends July 31, 2017. AOPA has used a different variations of the same logo since 1967, and unveiled a special Centennial logo to use for 2017. Now, we are looking for a logo for 2018 and beyond. The theme is “advocacy to restore mobility”. Learn more and enter here. Please forward this to any designers you know!